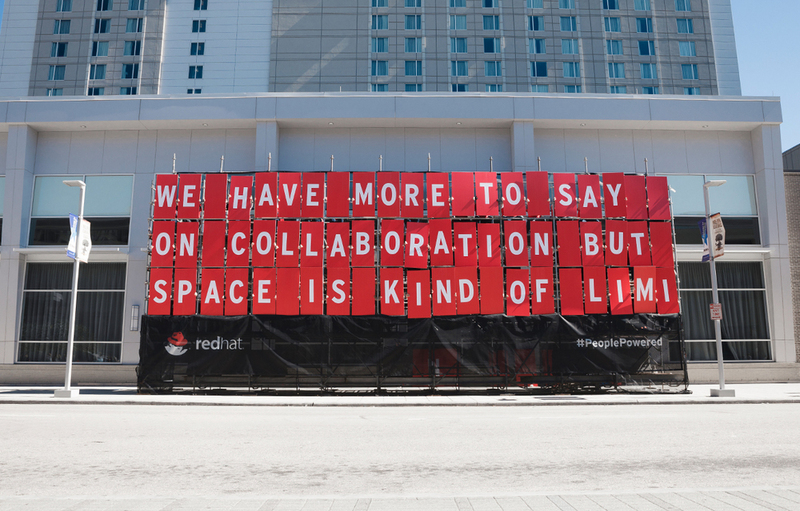 As the leader of the open source collaboration movement, Red Hat wanted to demonstrate the power of collaboration by showing the amazing things people can do when they work together. 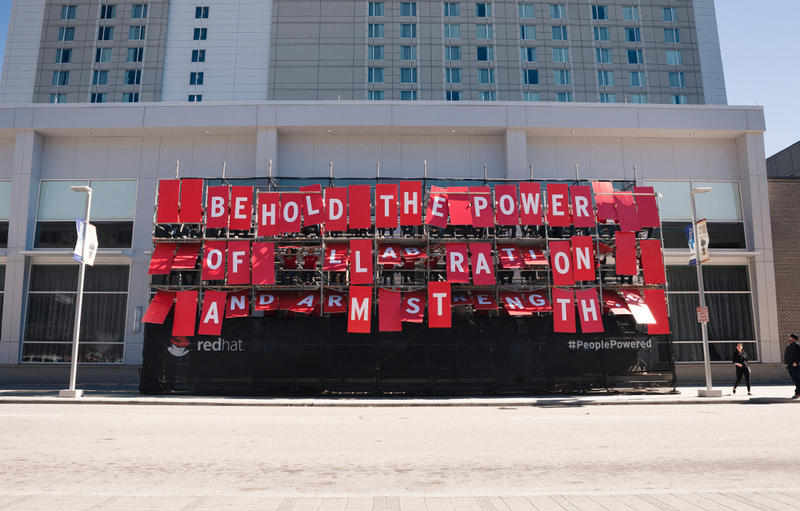 So, when they went to All Things Open, a conference for the world’s open source leaders, they erected the world’s first people-powered billboard. 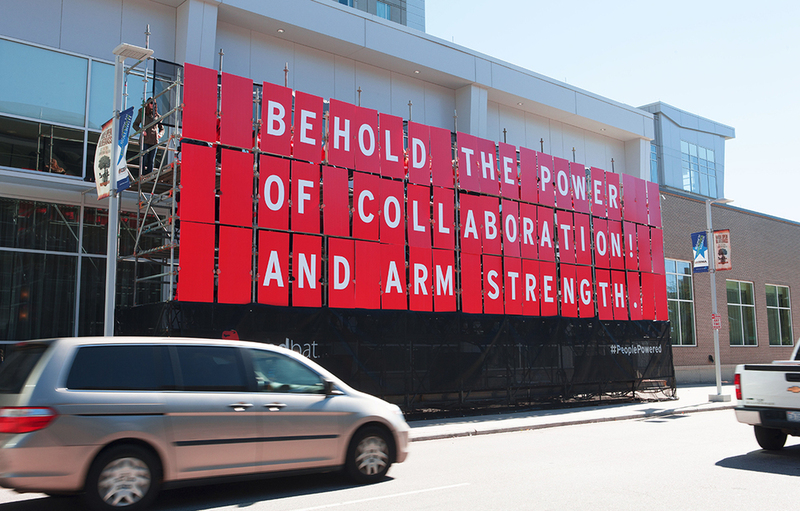 The billboard was made of a tiered grid of scaffolding that held 63 Red Hat employees and partners. 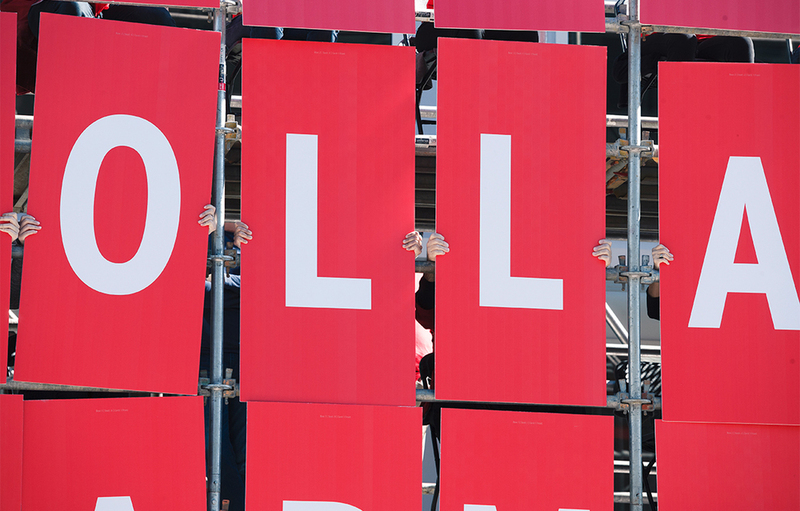 When each person flipped over their placard – in perfect unison, of course – they created various collaboration-themed headlines.